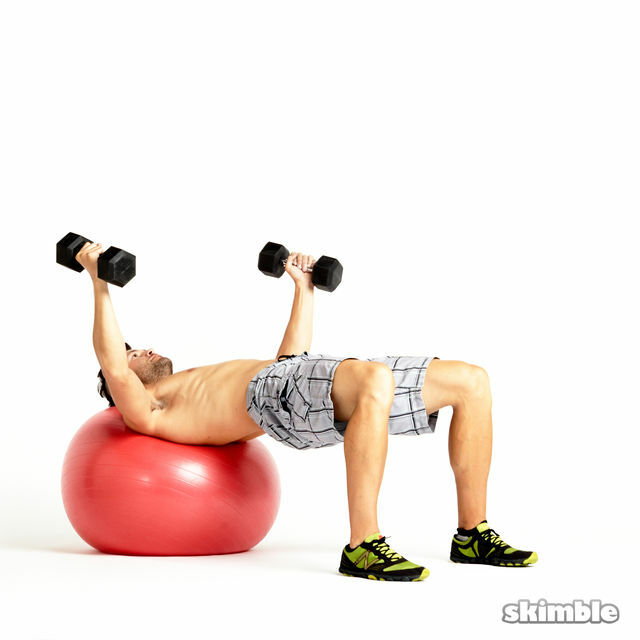 Lie down on a bench with a dumbbell in each hand. Press the dumbbells in front of you with a slight bend in your elbows. Now, draw your arms back down in a wide arc by squeezing your chest and moving at the shoulder joint. Hold a moment before returning on an exhale. Keep going.